There’s an app for seemingly everything to help us live better healthier lives, but it seems the outcomes of these apps show little evidence of positive prognoses. Perhaps the best way to describe these digital health tools is that they have a big hat but no cattle. According to a study published by Health Affairs, even though the developers of the technologies study their effectiveness, these studies "rarely used randomized controlled trials, depended on small study populations and generally focused on healthier individuals." 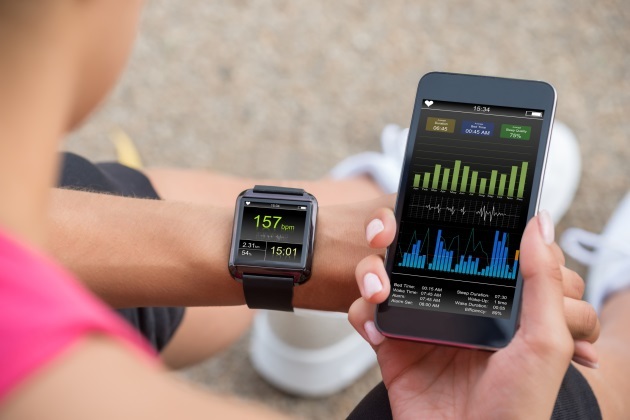 The authors of the study said they looked for evidence of clinical effectiveness through use of the apps or a “demonstrable improvement for a relevant health diagnosis.” Per FierceHealthcare reporting, digital health firms can verify their own measurements, citing their ability that an activity tracker can accurately count steps, but aren’t able to prove the solutions help a patient struggling with weight, for example. "We had a fairly high bar for demonstrating evidence, but in many ways in medicine it's the standard bar, which is clinical trials of sorts, and right now our sense is that the digital health community doesn't really have to meet that bar, particularly when they're going direct to consumer," Adam Cohen, one of the authors of the study said in an interview with FierceHealthcare. "You know it tracks steps or it measures heart rate, but does it prevent obesity? Or does it reduce obesity? Or does it prevent events or conditions related to obesity, like stroke or diabetes and so forth? And that sort of impact; we didn't find a ton of evidence for that in our selected cohort." Authors of the study want more evidence, but are not limiting the apps’ capabilities in coming years. The rise of the technology from nearly nothing a decade ago has been nearly as impressive as the rocket launch of the digital technologies and devices that support the apps’ livelihood. Some of the companies behind the health apps are now expressing interest in conducting clinical trials, the study said. Mobile health (mHealth) apps continue to transform how health information is accessed. There are two major types of health apps that are most prevalent today: those focused on healthy eating and nutrition and those focused on physical fitness and activity. Other apps are focused on such activities as promoting behaviors like better sleep, positive thinking and smoking cessation. According to the Health Well Foundation, mHealth apps are used by more than 60 million users in the U.S. There are currently more than 100,000 health apps on the market, but, as the study above shows, it’s not yet possible to determine which are effective and which could even be causing potential harm. Despite this, these apps are expected to exceed $3 billion in global sales by 2019. How can mHealth apps be effective, the University of Illinois, Chicago asks? "Providing a platform for clear, organized tracking of their health related data." Additionally, "organized, user-friendly data tracking makes it easier for mHealth users to set health-oriented goals and track their data as they attempt to achieve them. Whether it’s tracking streaks of consecutive days exercising, or logging consecutive days without using tobacco products, mHealth apps provide users with an instantly-accessible tool where health progressive can be monitored in real time, a means that’s far more rewarding than bi-annual trips to primary care providers." If mobile health apps want to move beyond the direct-to-consumer model and enter the formal healthcare space, the study’s authors suggest digital health companies do better at demonstrating the effectiveness of the technology they create. The authors also recommended financial incentives from the government could help in this effort.